The Eagle Diversity Education Center (EDEC) is dedicated to developing and sustaining an academic, social and cultural environment that embraces and supports diverse student populations. 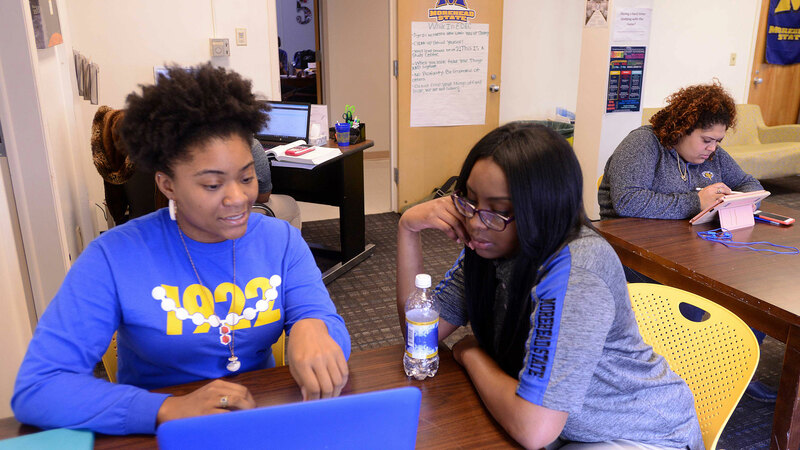 We strive to consistently generate and facilitate activities and programming that challenge, support, and contribute to the continued development and success of students of color. Focused on the experience of students of color at MSU, EDEC coordinates an array of educational, cultural and social programs, collaborating with faculty, staff, academic departments, and campus organizations to encourage and stimulate positive social interaction, cultural and community awareness. EDEC is inclusive to all members of the University community and provides focus towards African-American, Latino and Hispanic students. We have developed a student-focused, comprehensive educational experience to nurture an inclusive community on campus. We provide support to prospective and enrolled students of color, expanding opportunities for student engagement, leadership and scholarship. Become active citizens, lifelong learners, and leaders in a diverse and inclusive community.